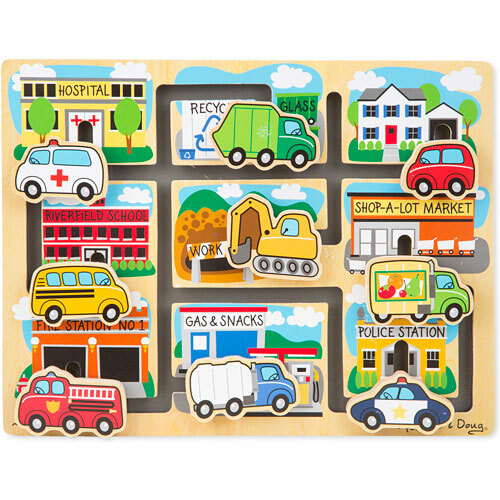 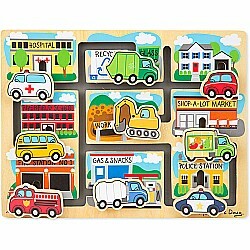 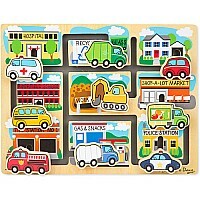 This innovative wooden puzzle includes nine colorful vehicle pieces that slide around a colorful town scene on slotted tracks. 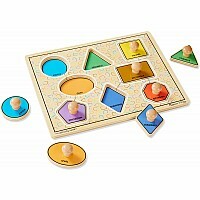 Uniquely designed sliding pieces move freely around the puzzle, but can't be removed or lost! 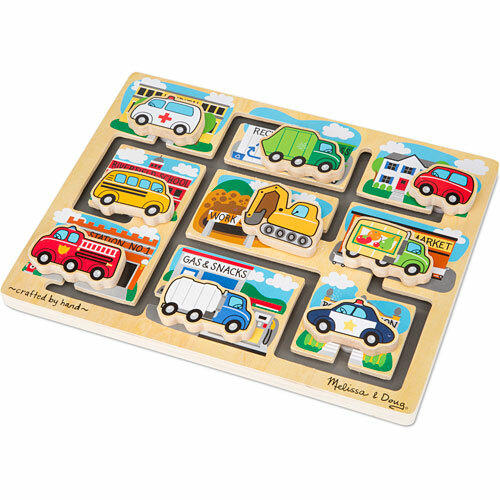 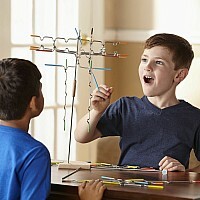 This great activity encourages eye-hand coordination and fine motor skills. 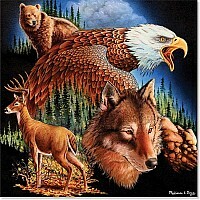 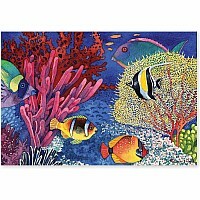 Measures approximately: 13.20 x 10.15 x 1.10 inches..